Can this version be played masterless? Two major editing and proofing mistakes by page 31, and I skipped to page 29 to start reading. Typical CGL product. Can we just give Shadowrun to another company, already? Let someone take all the fluff and story and meta and awesome, and build a good rules set that's consistent and plays quickly? I'm not done reading Anarchy, and I'm still mildly hopeful it isn't complete garbage (though I suspect it goes too far in the "less crunch" direction for me, and I'll still just use Savage Worlds with Interface Zero 2.0 and the Fantasy Companion to run Shadowrun games), but come on. It was mentioned on RPGNet that some of the pregens are now not rules-legal due to errata. Will those pregens be updated to bring them in line with the updated rules? If they were rules-legal to begin with then that would be a first to my knowledge. Shadowrun is notorios for having pregens not being rules legal. A couple of posts and reviews indicate that the rules are in an unfinished state. Is this accurate or possibly due to false expectations of what the rules should be? I am currently torn between this and picking up a bundle of Shadowrun 4 books to go with my 20th Anniversary edition. I realize that they are different rules and different approaches, but I am looking for something to play in the shorter term. If this is not complete, I will have to wait until it is before purchase. Thanks for any information. The rules were outright unfinished in the original release. They are finished to some degree in the current release, but only in generous terms. The example I'm most familiar with as a Technomancer player is that Sprite statistics were completely missing initially despite having many references throughout the book. One single Sprite was added in the errata, but its statistics are nonsensical. In addition, neither the Table of Contents nor Index were updated to include it. I have heard of Riggers having similar problems, but I'm not certain as to what extent. It's just kind of messy in general right now. I have not chosen a rating or written a review yet, as I hope to give the book a chance. I will say that I definitely regret my purchase as of this time. Even if it's fixed, I'd still regret purchasing so early. That pretty much settles my decision. Anarchy will have to wait until another day. No problem! That said, I don't want to give the wrong idea; Anarchy does have a lot of potential! In time it will most likely be really good. It was just released a month or two too early. That's kind of the worst part: First impressions are everything. I'll keep an eye out for when they update the file. Then I'll plop down the cash for it. Anyone having a link towards a GM screen for SRA ? I've skimmed through this a few times now, and there doesn't seem to be any loss to Technomancer abilities due to Essence loss in this ruleset. Is this intentional? Or did I miss something? The sidebar info says "Rules System: Shadowrun", but shouldn't you define it as "Cue System"? With which system would it be more compatible, in other words? ...so maybe you should clarify it is the Cue System AND say it is similar to other Cue System games like Valiant Universe (a highly recognizable title). Hello. I'm aware there is another reprinted version now, and my Downloads list (CAT27010_SR_Anarchy Old.pdf) and (CAT27010_SR_Anarchy.pdf). I assume the Old was the original release ? So I downloaded the other version and it looks identical. Case in point....Page 3 of the printing (Page 6 of the PDF) it still says "First Printing". If it said "Second Printing" at least I'd be reassured I had the most up to date. One of the changes is on 204, with the Shadow Amp drones getting things like [A6, D9] added to their stats. I assume that means armor and durability, so we can track attacks against the drones. A Technomancer Sprite was added to page 140. Looks like some of the optional Technomancer rules have changed (45). 1. Does the section giving advice on playing with a traditional GM structure say "You'll have to come up with rules to deal with X", or does it say "This is how you can deal with X"? Wondering how much work I'll have to put in to play that way. 2. Sounds like a lot of errors. If I buy this PDF, will it be updated with the fixes? Or will I have to buy another fixed PDF in six months? 1. There's actual rules. Yaay! They go on about how to modify Plot Points, so that the PCs aren't spending them to say 'and then a rival gang shows up!' or the like. Makes the plot points more of a bennie kind of thing. 2. They've at least given us one new version of the PDF with some error fixes, so that's good. Still some errors in it for sure. The latest version of SR:A has fixed some of the more glaring issues from the initial release. -Drones and Vehicles are now Shadow Amps, rather than Gear, and have armor and damage listed under their Amp entry. -There's an explicit section on running with a traditional GM structure, which I may have overlooked in my initial review. WOOPS. - Explicit rules for building new amps are still missing, but those are more abstract anyway, so... Wasn't expecting it. The Drone thingie denied entire character archetypes from existing, glad they patched it in! I am very glad they're updating things! I really am. The update brings up new questions though. They did add a Sprite, but references to it are missing from both the Table of Contents and The Index. The Sprite also has Hacking instead of Tasking, which is required for most Technomancer Amps. It lacks Firewall, meaning its defense is limited to 2 (Logic). Ouch! This is just an issue with Sprites; there are other issues all over the book. I really love the idea of a narrativist Shadowrun ruleset! I fully support Anarchy's development. I love the Shadowrun setting but not the crunchy base rules, and I'm really excited for what Anarchy can become. However, I don't think Anarchy should have been released in its current state. I hope that's not taken the wrong way, or seen as rude. That's why I've held back from giving an actual Rating for now, because it totally deserves a chance! It was kind of $15 that I could have spent on a different book though. At least until the errata was done. My apologies. Thank you for your comment. 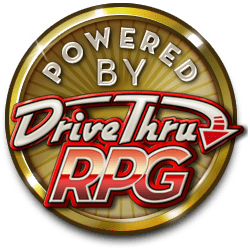 However, the latest download on DTRPG doesn't seem to reflect these changes, unless I am being blind ? Thank you. Do you know if the print version will have the corrections? I just ordered it and it seem there is delay. I hope the delay is to correct the product. Hello! I was trying to find the rules for Technomancer Sprites. I read the section about Compiling, and Sprites counting as NPCs. However, I could not find any sample NPC entries for them. A few Spirits, but no Sprites. Am I missing something on how their stats are calculated? I'd like to add that the rules on Sprites are contradictory. In the Matrix rules, it says that Hacking is the skill to use for summoning Sprites (p. 46). In the Skills list, Tasking ist listed as a Technomancer-only skill for that purpose (p. 32). in my pdf, all the blue box example/table/story/etc is unreadable unless I zoomed in. Also the text is black on black background, is it meant to be like that? Any solution to this?